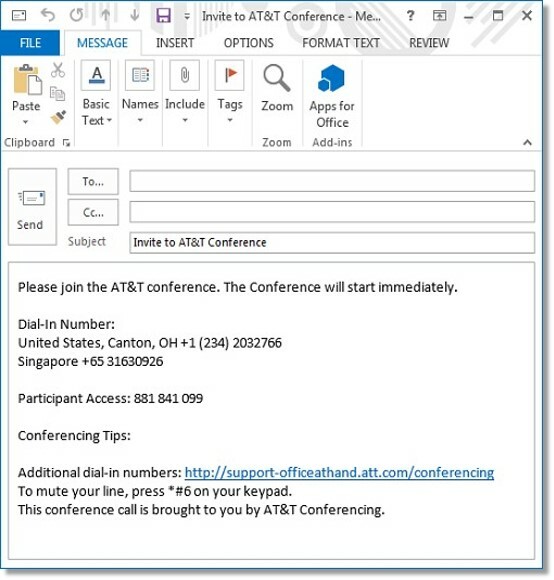 The AT&T Office@Hand Desktop App allows you to invite conference calls on your computer, as well as your desk phone, smart phone, or tablet. You may invite Participants to the Conference either by sending a text message or an Email. When you click Invite with Text, enter the Name or Number of the Participant that you wish to invite in the To: field and then, click Send. Note: When Include additional dial-in numbers is enabled, you will be asked to choose which numbers you want to include as additional dial-in numbers. Select the numbers from the list and then click the check mark or the Save button. that you wish to invite and then click on the contact’s Extension number or Phone number. You can add one (1) number per contact at a time. You can send an Invite by text to multiple contacts and phone numbers at a time. 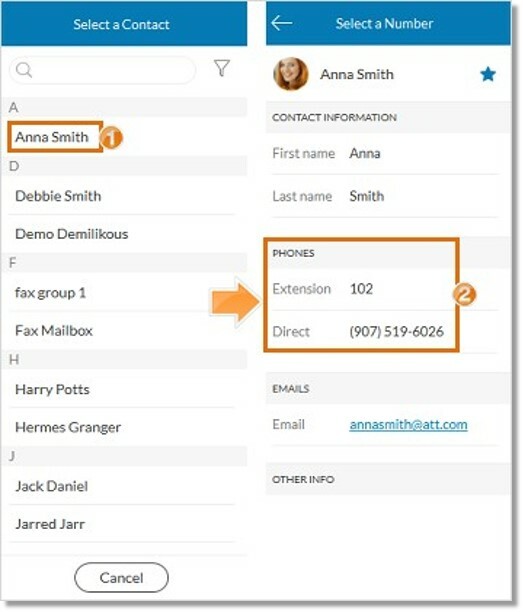 You can separate the phone numbers by using a comma (,). 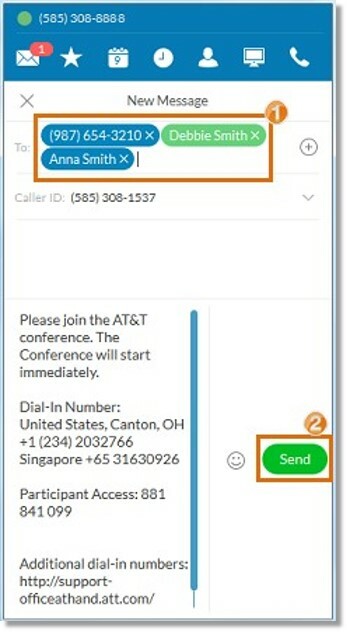 The Invite by text will be sent to multiple Users in your BT Cloud Phone account as a Group Message, while invites sent to non-BT Cloud Phone numbers will be sent separately to each number. You can also edit your Invite by text and insert emojis before clicking on Send. When you click Invite with Email, your computer’s default mail program will appear. Enter the Email Address of the Participant that you want to invite and then, click Send.